In this category, you can find copper pipe cutters / plastic pipe cutters in different sizes, constructed from high quality materials in a compact design to meet the high expectations of professional users. OX Tools' hand tool range was born in 1974 in Australia and launched under the OX brand in the UK at the beginning of 2012. OX Tools have been at the forefront of the Australian market for more than 40 years, and now OX is leading the way in the UK when it comes to professional quality hand tools. We offer a number of different sized pipe cutters to cater for different needs. 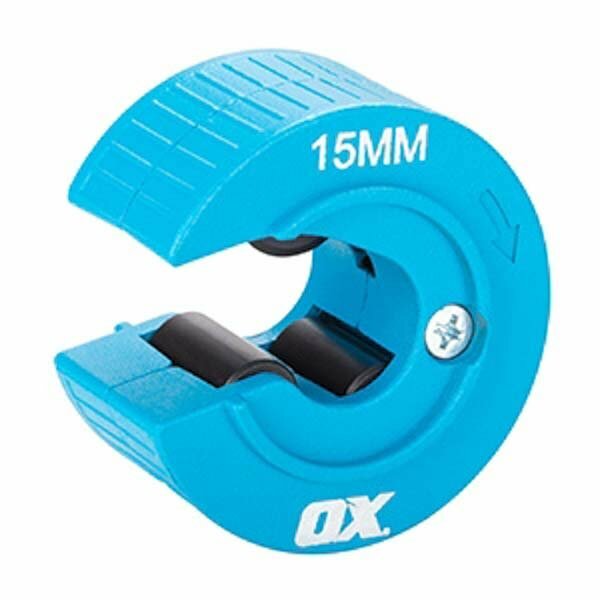 Our 15mm pipe cutter is the smallest, with the 22mm pipe cutter being the next size up. Our largest option is the 28mm pipe cutter, so you can cut pipes of all sizes. So, when you shop with SGS, you can be sure that we cater to your needs. If you find that you have purchased the wrong size, fear not, as we have a handy 60 day returns policy in place to ensure that you get the right tool for the job. Our friendly, knowledgeable sales team will also be happy to provide help and guidance when choosing your product, so don’t hesitate to contact us today.